Your Place for the Best Cards and Memorabilia on the Web! 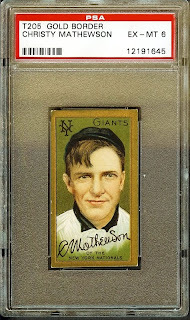 With the largest inventory on the web, we are your first and last resort to find the cards and memorabilia you need! We Hav'em Where They Aint! What makes WhereTheyAint.com better than the competition? GREAT SELECTION: Whether you are a serious, experience collector or a rookie to the hobby, whether you're looking for high-end stars or filling your set, we have what you need. TOP NOTCH SERVICE: With over 35 years of combined industry experience, we are proud of our reputation. We've never had a complaint: in person, on any number of auction sites, anywhere. We respond promptly to all inquiries. And if we don't happen to have what you need, we'll find it! ONLY THE BEST AUTHENTICATORS: At WhereTheyAint.com, we only use the very best and most respected authenticators. 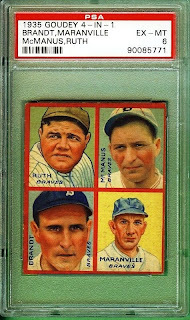 For cards, we mean PSA, SGC & Beckett grading services. And for your autograph collectors, you will find a nice selection of MLB, Steiner, & PSA/DNA authenticated pieces! WE'LL GO THE EXTRA MILE: If we don't have what you are looking for, let us know. We'll do our very best to track it down. Our clients mean the world to us. And we will search the world for them! CONSIGNMENTS: We Regularly Achieve too dollar for our clients. Contact us to help sell your collection! We look forward to helping you! Please see our website www.wheretheyaint.com or contact us at Sales@WhereTheyAint.com for more information.